Throw your leg over tomorrows road bike. The Strada Due has every conceivable technology in one bike. It's absolutely aero yet comfortable to ride because of it's larger tires and disc brakes with thru axles make the rider feel in control at all time. That's with nothing said about it's amazing profile. he biggest factor in road bike comfort are the tires; they provide more compliance than any other part of the bike. Wider tires are better at reducing shocks from cracks, curbs, cobbles and potholes, which is why they are the norm at Paris- Roubaix. Wider tires also have lower rolling resistance, because their shorter contact patch requires less bending by the casing. 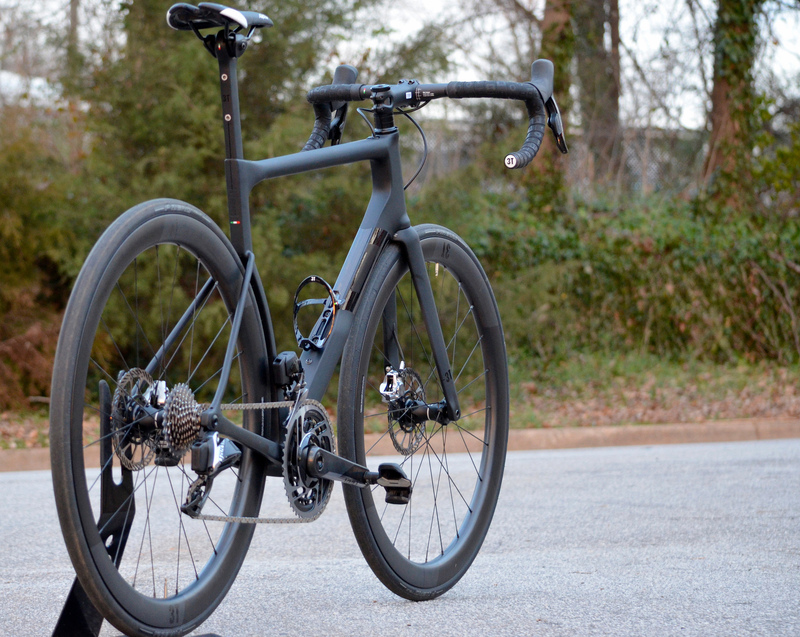 At 3T we design for real world aerodynamics at realistic speeds. This means we test at 20mph (32kmh) and 30mph (48kmh), we test with bottles and other “difficult parts” for aero optimization, and sometimes we even test dirty and muddy bikes (see the Explorofor that).